Vine breeding - Methods used in the company. Methods used in the company. Methods used in the company. During the production, our winery uses breeding methods of two types at double guyot and spurred cordon . 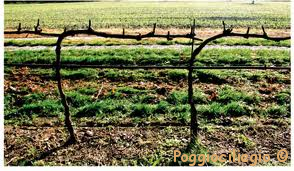 Through particular cultivation techniques, it is possible to modify the growth of the vine, in this way we can obtain different “breeding forms”, in order to obtain a higher quantity and a better quality of the grapes. Elegance and balance, freshness and fruitiness, the wines of Rascioni and Cecconello are an expression of the production territory. 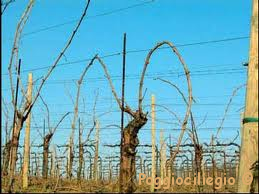 Another solution of breeding of the vines that we use only for Sangiovese is called a “spurred cordon”: a few months after the beginning of the winter rest the pruning of the plant leaving only one or two branches that will be maintained for four or five years, keeping only four spurs equidistant from each other.